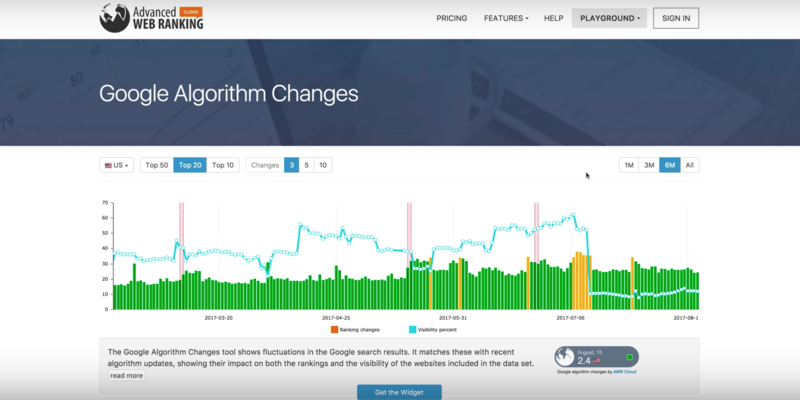 How can you recover from a sudden ranking drop? 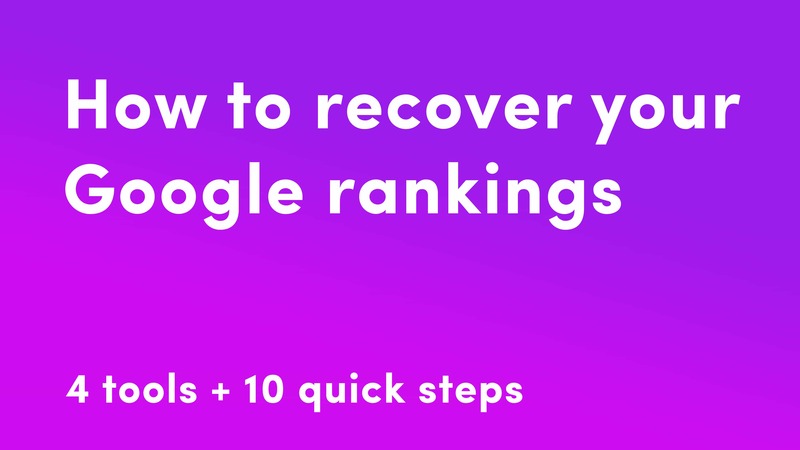 In my latest video, I am going to walk you through the things that I have seen in my career as an SEO that typically causes or lead to these sudden rankings drop so that you can quickly run through this checklist and mitigate the problem. Before we get into the actual checklist, I just want to remind you, take a deep breath, do not panic. I know it is easy for me to say when it is not my site, but I have dealt with a lot of people in a lot of these situations and I cannot tell you how many times I’ve gotten an email or a call two or three days later, “this cleared itself up, pretty much on its own” and it was just a random blip. Pretty obvious, but if you have changed the navigation or if you have redirected pages, go back and check those redirects. Or maybe you redirected something a month ago, go back and check. You want to go and double check all of those changes that you have recently made and make sure that they are still in place, and not causing any issues. Next thing you want to do is to look externally at some tools and they are algorithm change monitors and I have three of them and they are all pretty good. I will show you the first one, which is from MozCast. Moz has had this kind of weather report for a long time, if you see it and it’s really hot and stormy like it was on Thursday, August 10th, you know that some changes are afoot. I will show you Advanced Web Ranking as well and I will link all of these in the description, but what you’ll want to look for is more patterns. See, on the 10th, they are showing changes as well. Kind of high activity right in that range. 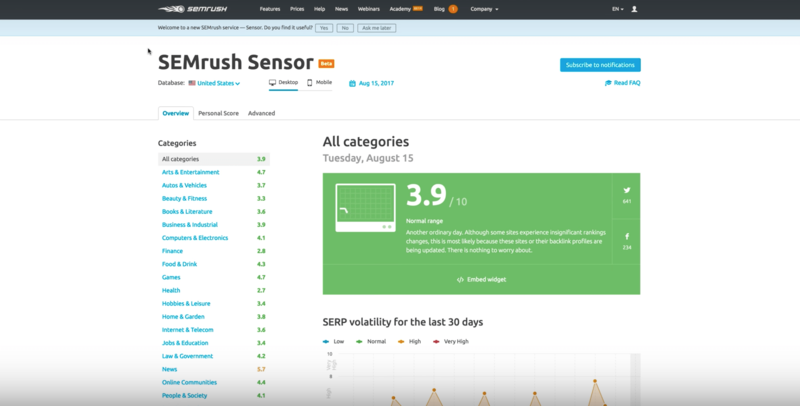 SEMrush is a new entry into this field and their sensor tool is quite good. I really like it because it also offers categories so you can see right here that sports and news are being more affected than other categories. You can actually enter your own site and get a personal score for your own rankings, which is really nice, and you can flip between mobile and desktop. If we look here, see the 10th and 11th, they are kind of showing in that same range as the other tools– high activity. Using these altogether kind of gives you an idea if some ranking changes are rolling out as we speak. Google Search Console used to be Webmaster Tools, but Google recently changed the name. If you do not have an account, get one. It is free, easy to activate with tools like Yoast if you are on WordPress. The first thing you want to check are the messages and just see if Google has left you a message telling you you have some issues. You would be surprised, a lot of times they are having issues, crawling something, they will leave a message right there for you detailing exactly what the issue is. Go to Messages, then you are going to go down the list and you are going to check for Manual Actions, under Search Traffic. People think if there is no manual action, they have not been penalized. It is rare to get a Manual Action. Someone at Google literally reviewed this and manually applied a penalty to you and you will get a message there. A lot of times, that does not mean you did not get an algorithmic penalty or some algorithmic action that the algorithm itself, without human intervention, just did to your site. Those types of penalties wouldn’t show up here in manual actions. You are also going to want to go down to crawl errors. Check all of these for big errors and crawl stats. Pick out some of your pages and fetch and render them as Google. Make sure you are not seeing anything crazy. Use the Robots.txt Tester to make sure that you are not seeing any errors or warnings blocking. I cannot tell you how many times I have seen a new website go up and they forget to update robots.txt because they were blocking Google on their staging. Then, they update the new site with the blocked robots.txt and they lose all their rankings. Check for any security issues. This is if your site maybe got hacked and it is displaying malware. Obviously, Google will not want to rank you if that is the case. Checking these will give you a really good idea. Mainly, you are looking at your index, your crawl stats. Is Google okay with your site map? That kind of stuff. If you go in here and you see tons of sitemap errors, that could be an issue. The next is to go look at technical issues. Now, this is a little bit harder to talk about in just one video, but this would be hosting issues. Let’s say you are using HTTPS, make sure you do not have any issues with your SSL certificates or are you using a content delivery network like MaxCDN to speed up your site? Make sure everything is rosy there and not causing problems. Many people use a cache. I use WordPress Fastest Cache on my WordPress site. If that is not setup properly or something went squirrelly, caching can cause a lot of problems if it’s not working right. Lastly, a lot of people will fall into the bucket of, there is a real time kind of penalty being applied to them, and that penalty is usually a Penguin or a Panda penalty. These used to be kind of manually run very infrequently by Google, but they have been moved into the real time algorithm, and I’m going to be very broad here– Penguin, is about your backlinks and Panda is about the quality of your content. These are now running in Google’s core algorithm, so what you are going to want to do for Penguin is check and see if you have a lot of keyword-rich backlinks to our site. If you do, and you are seeing big rankings drop, it could be a really good sign that you have been infected by a Penguin. For Panda, you are going to want to look at the quality and depth of your content. You are going to look at how long people are scrolling and staying on the site. If they just leave right away, it could be signaling that your content quality is thin. Thin content that does not provide a lot of value is usually the issue with Panda. Let me give you a free tool to use to check your backlinks. Obviously, I’m a big fan of Moz, SEMrush, Ahrefs for checking backlinks, but this is free right now and it is Open Link Profiler. What you are focused on are your anchor texts. We can get into– maybe I will do a video on SEO Profiler at some point and show you some of the cool stuff you can do. But you are looking here, and if you see things like your name, Ghergich and company, Ghergich, Ghergich, A.J. 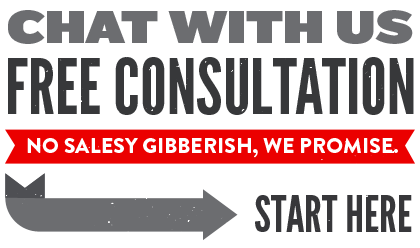 Ghergich, that’s me, your URL– if that’s the majority of your links you are good to go. If you are seeing something like SEO agency, SEO consultant and there were tons of links in here, you would be at risk for a Penguin penalty, because you are using too many keyword-rich, non-natural links to your site. Most people are going to link to you by your brand name or someone’s name there at your company or a tool that you have– something branded to you. If Google is not seeing that, it is going to think you are manipulating and so that would be– you would need to clean that up. Just Google articles on how to clean up Penguin penalties. It mostly revolves around you removing those backlinks, writing them, emailing them, trying to get them down and then disavowing all those links in Search Console. Let me know down in the comments if this kind of sudden rankings drops has ever happened to you and maybe how you got out of the problem or what the problem actually ended up being. It is interesting to just kind of learn from each other through our experiences and I will see you guys in the next video.